William (Bill) Robert Baxa was born on a farm outside of Haddam, Kansas on November 24, 1930, the son of Elmer and Ruby (Anderson) Baxa. 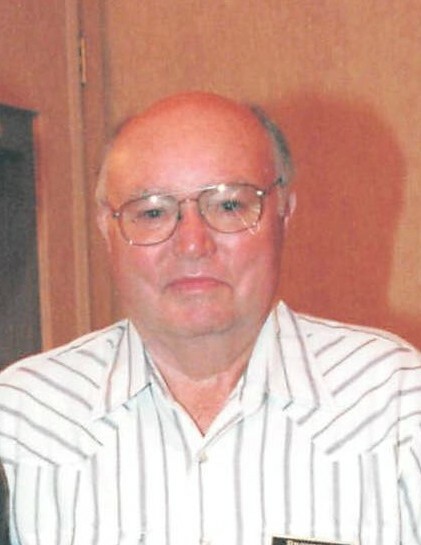 He left this world to join his wife of 57 years, Arlene (Houdek) Baxa, on Saturday, February 2, 2019 at the Republic County Hospital, Belleville, Kansas at the age of 88 years, 2 months, and 9 days. Bill graduated form Cuba High School with the Class of 1948. All but six months (in Topeka) of his working life, he spent farming east of Cuba, Kansas along the Republic and Washington County lines. When it was time for a break from farming, Bill enjoyed hunting coyotes and birds, crappie fishing, water skiing, going to gun shows, blue rock shooting, and dancing with Arlene to his favorite band “Salt Creek”. Bill was preceded in death by his parents; wife Arlene in 2007; infant daughter Constance Faye, and his brother Don. Bill will be forever remembered by his two sons, Barry and Terry, one grandson Bryon, their respective spouses, Rita, Joleen and Abbey; and two great grandchildren, Camdyn, 10 and Madilyn, 7. He leaves also to mourn a host of family and friends. Following his personal wishes, Bill was cremated and there will be no visitation. Memorial services will be held 10:30am, Saturday, February 9, 2019 at the Cuba Presbyterian Church. Inurnment with Arlene will follow at the National Bohemian Cemetery No. 13, rural Cuba, Kansas. Memorials maybe made in his honor to the NCK Healthcare Foundation c/o Tibbetts-Fischer Funeral Home, Belleville, Kansas who was in charge of these arrangements.